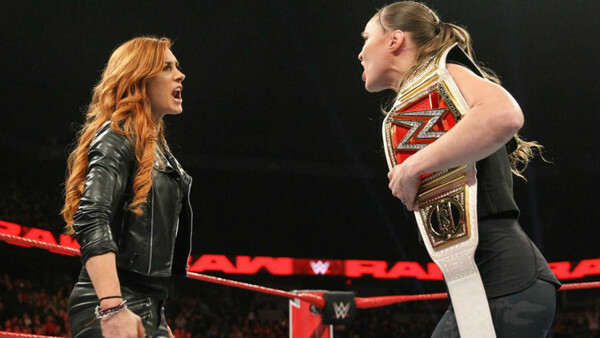 Does Ronda Rousey Have Legit WWE Heat With Becky Lynch? Last week brought reports that WWE management aren't best pleased with some of the language used in Ronda Rousey and Becky Lynch's ongoing Twitter war. Now, it looks like they might not be on the only party riled up by their hottest feud. According to Diva Dirt, Rousey herself is legitimately upset with how things are going in her and Becky's social media spat, stating that the duo have "worked themselves into a shoot." This has been corroborated by Sean Ross Sapp of Fightful. He states that on top of Ronda's microphone terminology being regarded as "confusing and anticlimactic" inside WWE, "everyone we've spoken to within the company believes that [her] frustration is real." This is all speculation, and should be treated as such, though the duo's back-and-forth has become increasingly point over the past week. Rousey has been the main offender in that regard, though Becky has been more than happy to participate as well. If true, this isn't good PR for 'The Baddest Woman On The Planet' in particular. She has a long, storied history of off-putting media outbursts, stemming back to her UFC days, so let's hope this is all storyline.